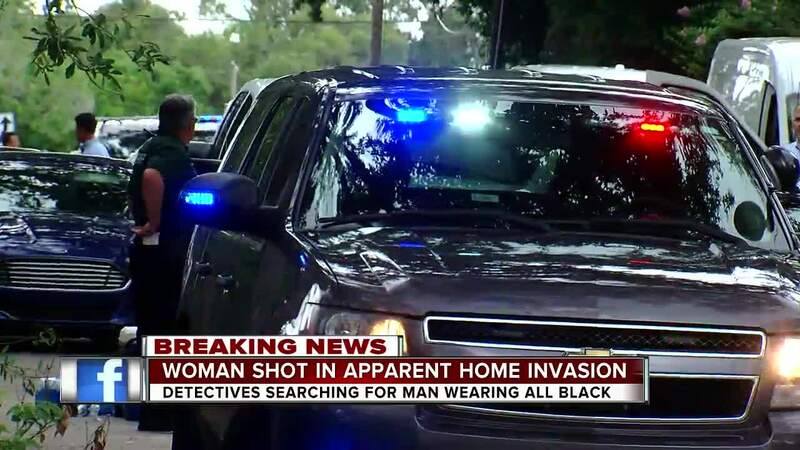 DUNEDIN, Fla. — A woman was taken to the hospital with life-threatening injuries after she was shot during a home invasion in Dunedin, deputies say. 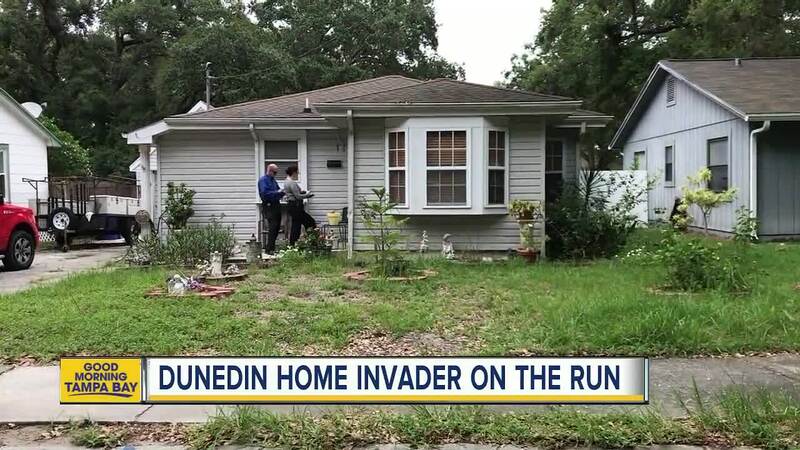 Deputies received a 911 call at about 1:03 p.m. Wednesday from 1144 New York Avenue in response to a home invasion. 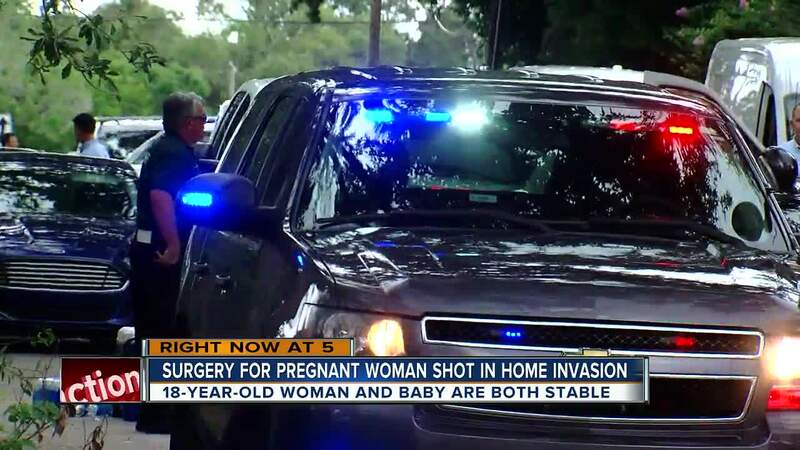 When deputies arrived they found 18-year-old Naomi Rosado, who is 5 months pregnant, with a gunshot wound. Detectives say the woman's 19-year-old live-in-boyfriend, Charles Tenpenny, was also at the townhome. Tenpenny told detectives that he was in the home with his pregnant girlfriend when an unidentified man wearing all black walked into their home through their unlocked front door. The suspect was allegedly armed with a handgun when he shot Rosado and ran away on foot northbound along New York Avenue. Tenpenny called 911 and tried rendering medical aid to Rosado, deputies say. Tenpenny's family tells ABC Action News that Rosado is 5 months pregnant with a baby boy. They also say both Rosado and her baby are stable, however, she will be rushed into surgery Thursday and is currently in the ICU at the hospital. Ricky Tenpenny, Charles' father, says Rosado was shot in the hand and head. Detectives say they do not have many leads. Even the next door neighbor in a conjoining unit of the townhome did not see anything that would help identify a suspect. Marqueniqua Samuels says she heard a gunshot but did not hear a scuffle or see anyone leave the townhome next door. "We heard a loud bang but right after the bang, it was silent and we heard nothing," she explained. Samuels says Rosado was excited about being a mom, "I was almost in tears when I heard about what happened to her. I had just rubbed her stomach the day before. I feel really bad," she elaborated. Deputies still won't say if the home invasion was targeted or random. The suspect is described as a male wearing a black mask, black shirt, black long pants, black shoes, and black gloves armed with a handgun. Anyone with information on this case is asked to contact Detective Scarpati with the Pinellas County Sheriff's Office at (727) 582-5808; or to remain anonymous and be eligible for a reward contact Crime Stoppers at 1-800-873-TIPS.